I don’t need to read tea leaves or get out my crystal ball to figure out what is trending in the horticulture world, just a glossy stack of 2014 seed catalogs cascading off my bookshelf. While the wind is howling and there is talk of polar vortex, I brew up a cup of hot tea, gather my reading material, and snuggle in. Here is a lowdown on what is new, what is hot, and what people are really thinking about when they plan ahead, and order their seeds for the upcoming growing season. 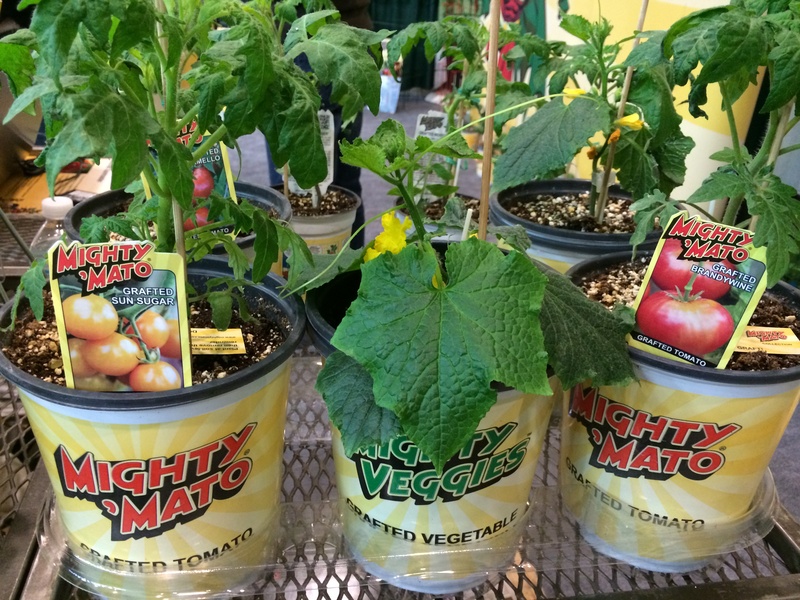 Grafted plants are relatively new, but I have only seen grafted tomato plants. A grafted plant simply means the top part of a separate plant(scion) is attached to the root system of another plant(the rootstock). The rootstock contributes vigor and disease resistance while the scion is chosen for flavor and quality. 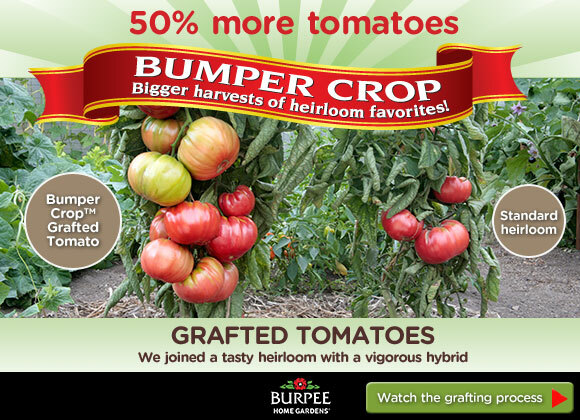 To see my review of grafted tomatoes go to Grafted Tomatoes, What’s Next? Now, you can choose from grafted double tomatoes (2 varieties on one plant), cucumber, peppers, watermelon, and eggplants, which are available from Territorial Seed Company. Another new development that is top-secret(you heard it from me!!) is the tomato plant that grows potatoes. That’s right- The plant grows tomatoes on top and potatoes underneath. Weird is right, but it makes perfect sense. The name that is being batted around for this oddity is “ketchup and fries”! Look for this in 2015. Genetically Modified seeds are a no no. Virtually every catalog assured the grower that they renounced the very idea of selling them! For example from Southern Exposure Seed Exchange “we pledge that we do not knowingly buy or sell genetically engineered seeds or plants”. 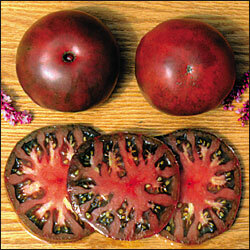 Consequently, heirlooms, which are open pollinated, are huge! Also prevalent are organic seeds. Heirlooms and organics dominate the catalogs, and some seed companies such as Landreth Seeds, sell them exclusively. Several companies such as Sow True Seed state that they are signatories to the Safe Seed Pledge, put out by the Council for Responsible Genetics. I see this as a sign that consumers have lost their faith in big agro-businesses and want to go back to basics and something simpler. Raised beds and stackables are everywhere. Sow True Seed’s sells bag beds, smart pots, elevated garden planters, and a raised bed garden system. 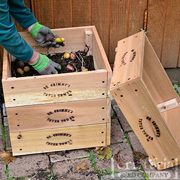 The stackables are new; think of wooden crates with a fiberglass screen bottom with cedar supports to contain soil. You can stack one on top of each other, or interlock in a customized configuration to fit your space. Another option are the big bag beds which are soft sided containers, some as wide as 50 inches to grow edibles and flowers. 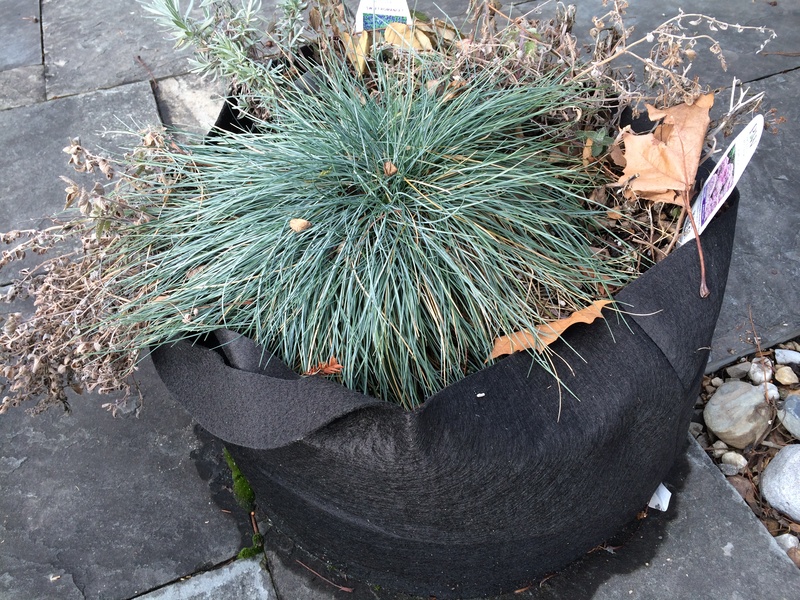 The one pictured below, located on my patio in winter, is a favorite of mine. It won’t crack in winter like pottery would, and the sides are breathable for good air access. They are supposed to last about 7 years. Bees have been in the news for the past couple of years and people are concerned about their disappearance, wanting to do something about it. The easiest solution is to plant a bee-friendly garden, using native plants. 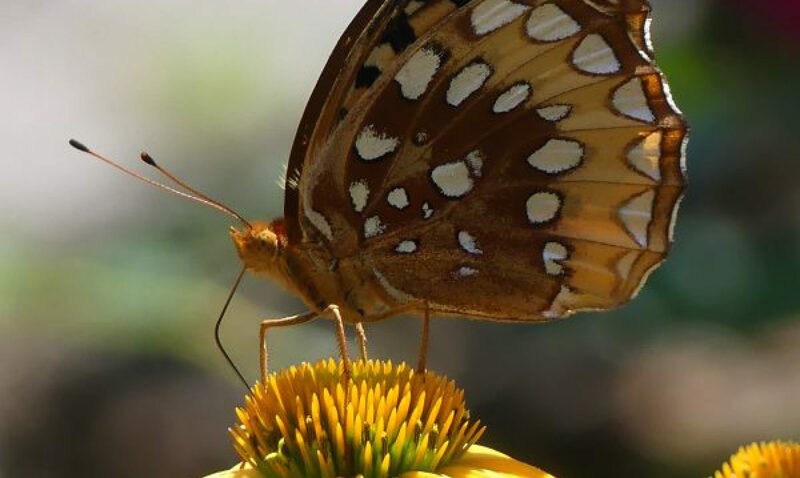 Native plants continue to be a hot topic in gardening worlds. 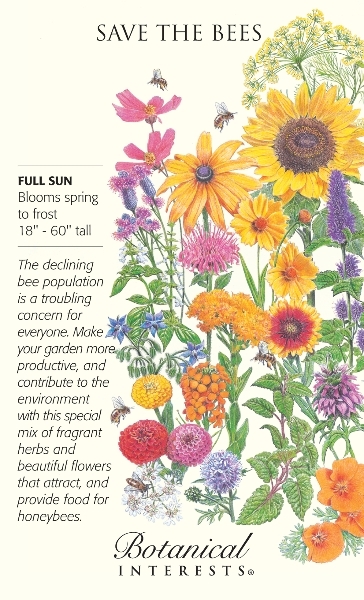 Botanical Interests, is selling “Save the Bees” seeds which includes annuals, biennials and perennials. They claim that, “The variety of colorful blooms in this mix provides plentiful food for many of the over 4000 species of bees that live in the U.S., and are waiting to visit your garden!” for $4.99. If a variety is the least bit attractive to bees, the seed or plant company will trumpet those benefits, even when some are questionable. To take it a step further, mason bee houses are popping up for the first time in main stream seed catalogs, and you can even buy the larvae cocoons on line if you want to jump start your local population. When I was ordering my tomato seeds, I noticed in the Baker Creek Heirloom Seeds catalog, that they had a chart titled “Our 2013 Nutritional Study on Tomatoes”. The chart rated 10 tomato varieties in order according to their nutrient values as was performed by a certified lab in California. I was surprised to see the wide differences between the varieties in levels of vitamins, acidity, and lycopene (flavonoid antioxidant). 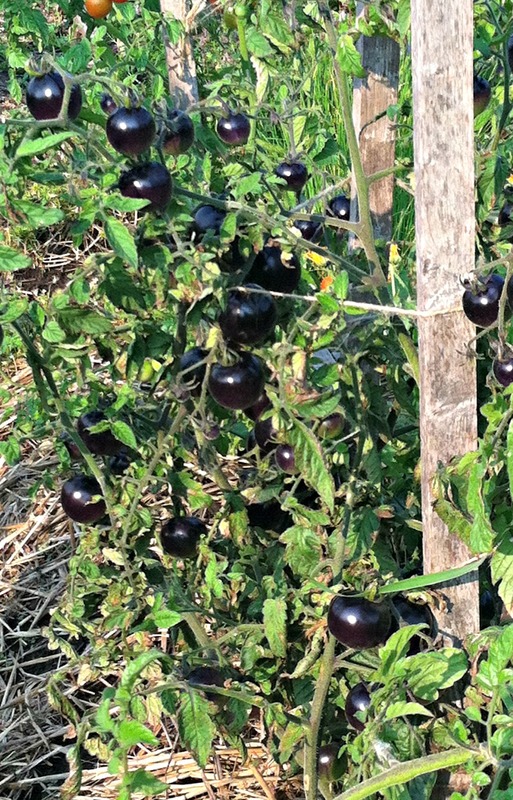 Generally the black and purple tomatoes surpass significantly all other color tomatoes. 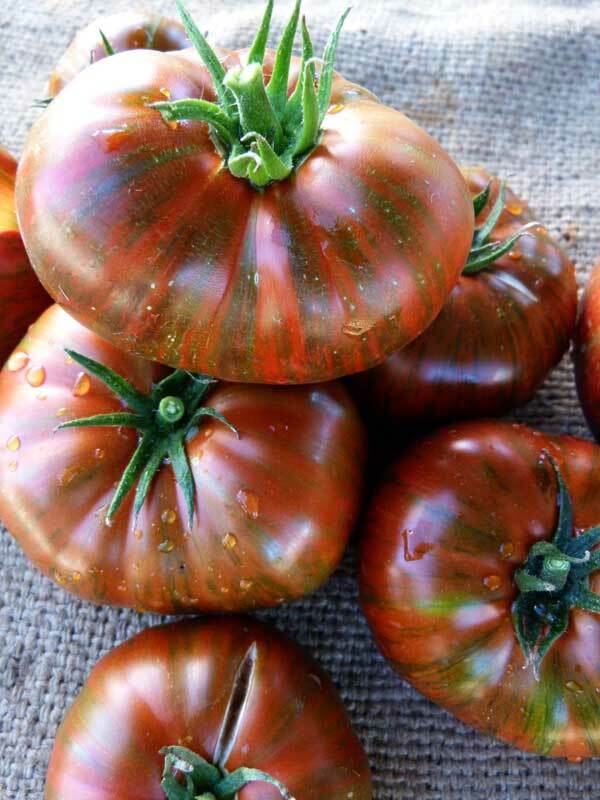 That is why I ordered the variety “Black Krim” which topped the list as best overall. I was following a trend which I see is in full swing, gardening for nutritional benefits as well as tasting good. 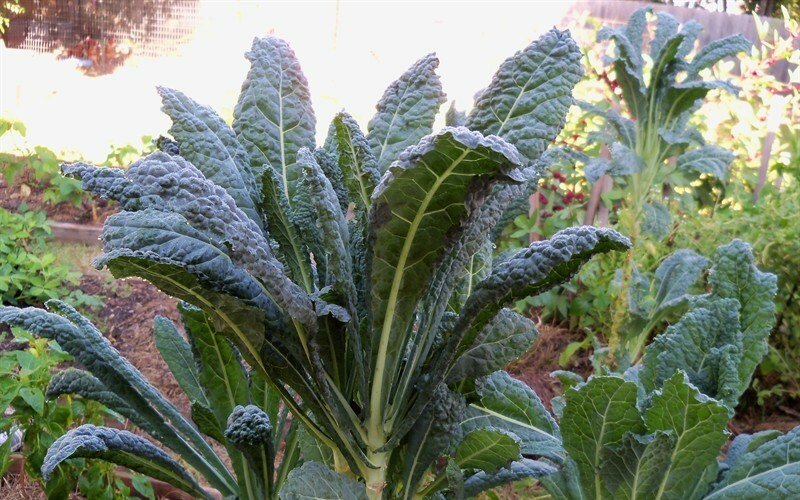 People are looking at health benefits when cultivating all edibles and growing lots of greens for smoothies or “groothies”. Kale is ubiquitous. 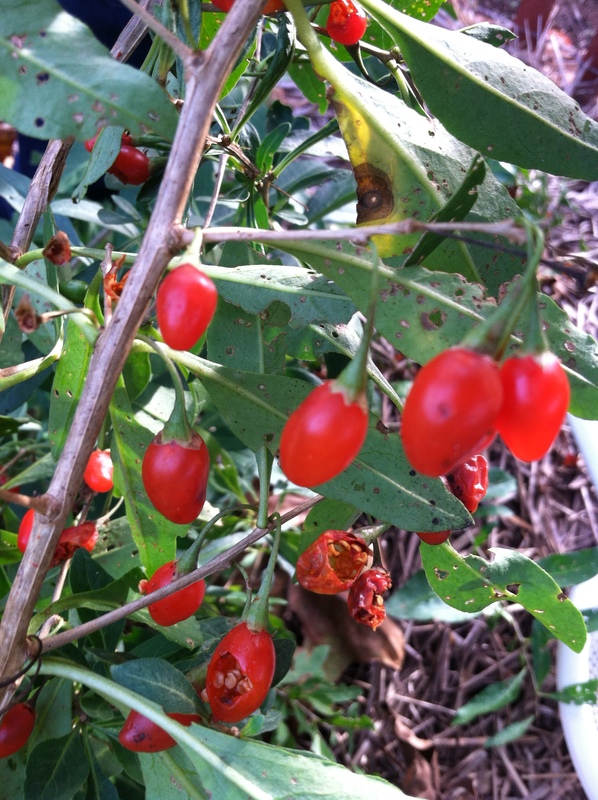 Foraging for edibles is an off-shoot of this interest with a ground swell locavore movement. Driving this movement is self-sufficiency, getting in touch with nature, free food, and seasonal eating. Eat your dandelions! People are making their lifestyle choices with wellness in mind. Bergamot, chamomile, and comfrey are three herbs that are leading this trend of healthy choices and habits. Easy to grow in containers, windowsills, and just about anywhere – herbs, both medicinal and culinary are the next hot edible. 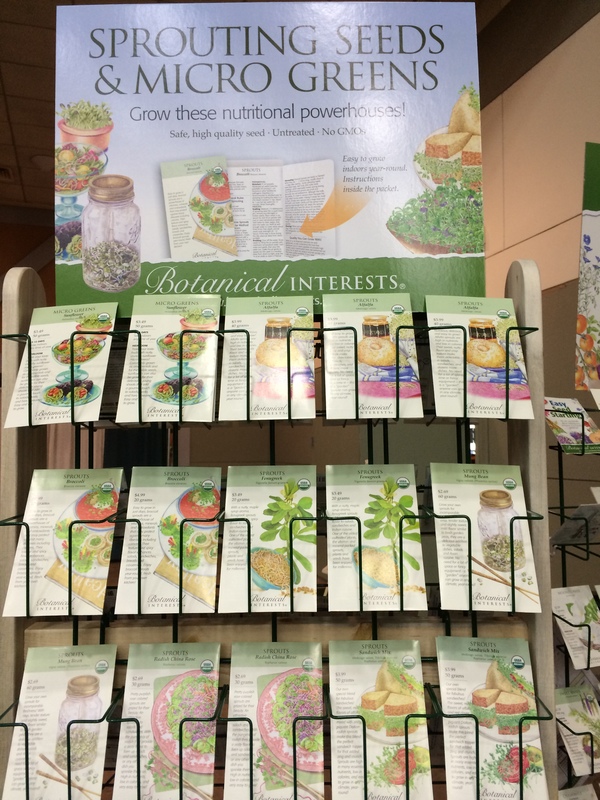 The herb section in all my catalogs has grown over the years. From Park Seed you can buy a pollinator herb mixture of borage, chives, sage, basil, lemon mint, catnip, sweet marjoram, oregano, and creeping thyme. Varieties of herbs have exploded and the hybridizers have been busy, especially with Lavenders. 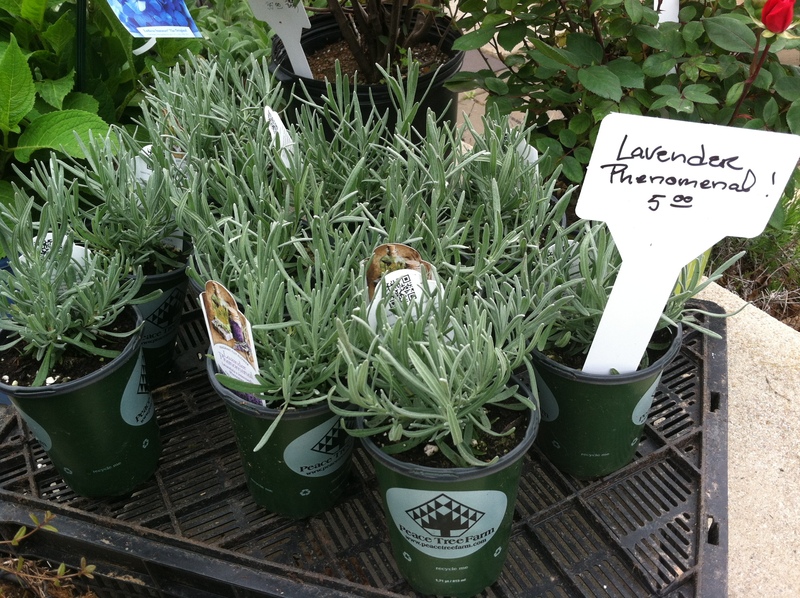 Phenomenal Lavender is a new variety which has been trumpeted, that will thrive in hot humid summers, which I endure here in the mid-Atlantic. I grew this variety for the first time last year and liked it because the flowers branched off the main stem to produce more flowers all summer long. The jury is still out until I see how it over-winters. Remember earlier, I said back to basics? Well, forget that!! Because I definitely see a trend to growing unique and gourmet vegetables that are nutritious as well as easy to grow. Just check out Park Seed‘s gourmet edibles which include Kale Lacinato(Dinosaur Kale), Cucumber Crystal White Pickler, Rainbow Blend Tomato, Chiogga Beet, Pepper Petite Color Blend, and Brussels Sprouts Bitesize. I attempted to order Dinosaur Kale from several companies, but it was sold out wherever I tried! I will be growing these black tomatoes that I saw in Quebec last summer. Because of their black color, supposedly the nutrient content of these should be off the charts. 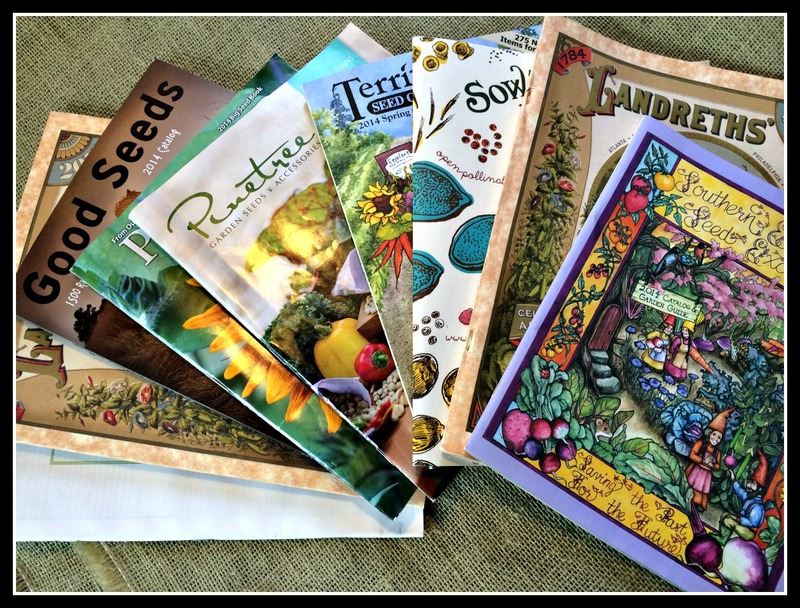 Renee’s Garden Seeds increases their themed seed collections every year, such as the Basil Lovers Bonanza, Fabulous and Unusual Annuals, or Collection of Collections, which is all twelve of the themed garden seeds together for $155! Landreth Seeds has the most unique collections, with one called the African American Heritage Collection. See my review of Landreth Seeds at Art of the Seed. 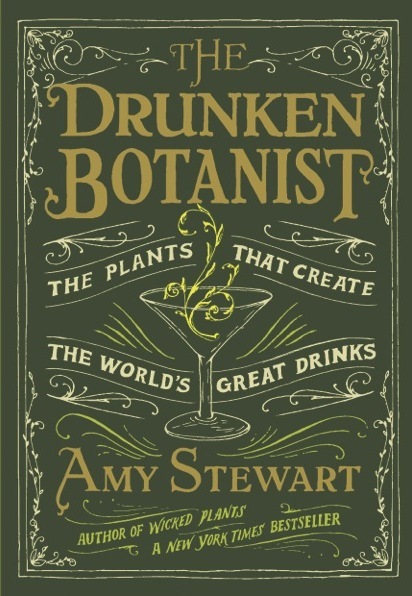 Botanical Interests has over 30 collections and has pulled out all the stops in naming them. I am going to try “Salsa Ole Seed Collection”, and the “Weird and Wonderful Seed Collection”. The collections at Botanical Interests can only be purchased on line. 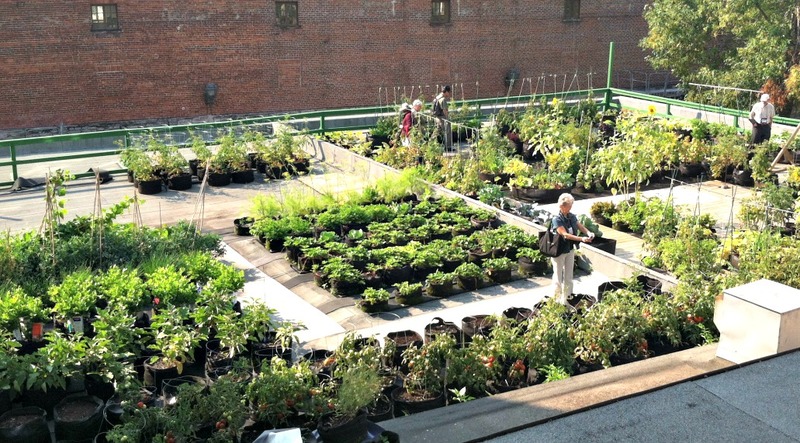 Rooftop gardening for vegetables by definition should be small and compact. The adjectives used in describing these plants are mini, tiny, dwarf, and compact. Vegetables and flowers are being downsized to fit into peoples lifestyles and space limitations, and are sprouting up on rooftops all over America. Determinate plants are popular as they do not vine and outgrow their space, and the smaller varieties have exploded in number. Container sized blueberries and raspberries are selling out everywhere as they are so easy to grow. See my Blueberry Bonanza post. Berries in general are enjoying a resurgence of popularity. 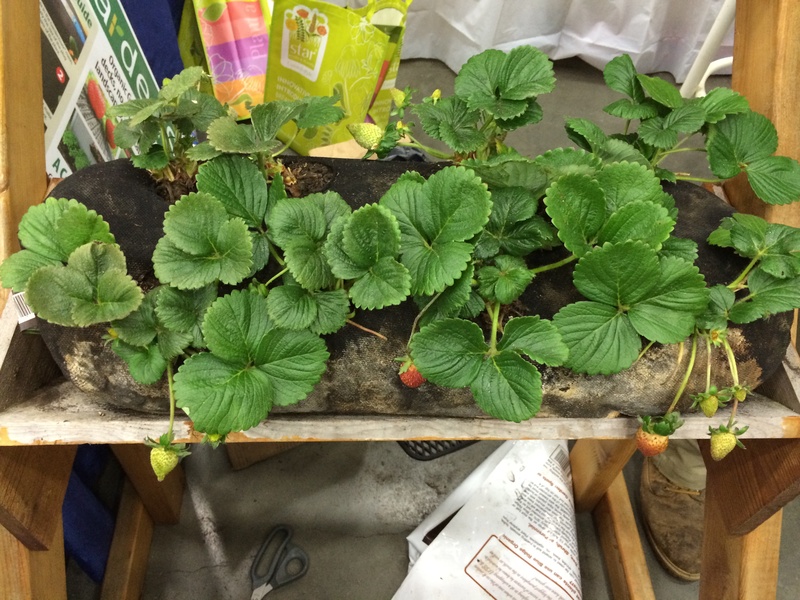 Ever-bearing strawberries, ones that produce sporadically throughout the growing season, are very popular. For my post on strawberries, go to Jam Session. This trend is an off-shoot of growing food for health benefits, but primarily so-called super foods such as berries, kiwis, quinoa, beets, and greens, fall into this category. Goji Berries are still trendy, and blueberries are being hybridized into unrecognizable colors, such as lemonade pink or peach sorbet. A newly released berry from Proven Winners is called Sugar Mountain Blue Haskap. Sugar Mountain is a honeysuckle variety or Lonicera, but not the invasive kind. Haskaps look like elongated, oversized blueberries that growers claim is easier to grow than blueberries. They also contain high levels of antioxidants and three times the amount of vitamin C. Haskaps can be eaten fresh or dried, or cooked into pies, just like blueberries. For a post on another superfood, Okra, go to Okra-Superfood Superstar. Fermentation is huge! Enjoying a resurgence are plants that can be fermented such as hops for beer, grapes for wine, cabbage for kimchi, kombucha, and relishes. Go to Pickle Time to see how easy it is to make pickles. Beer gardens are becoming popular, with people growing different varieties of hops to try their hand at brewing. If you are interested in kombucha, which is a fermented tea, and new to me, go to http://www.foodrenegade.com/how-to-brew-kombucha-double-fermentation-method/. Do you notice a trend here? Edibles aren’t new on the gardening scene, they are just taking over the gardening world. Sprouting set-ups are “sprouting” all over and every time you walk into a gardening supply store, you are knocking into one. Micro greens are an “offshoot” of the sprouting scene and you have probably seen them on restaurant menus, garnishing sandwiches, salads and soups. Micro greens are juvenile vegetable seedlings that are between 7 and 14 days old that grow in soil. Sprouts are seeds that germinate in water and are about 48 hours old. Micro greens are harvested by cutting the plant off at the soil level. Arugula, mustard, pea, beets, cilantro are some micro greens now on the market with more to come. The nutrients contained in micro greens are four to six times more intense than the mature vegetable. 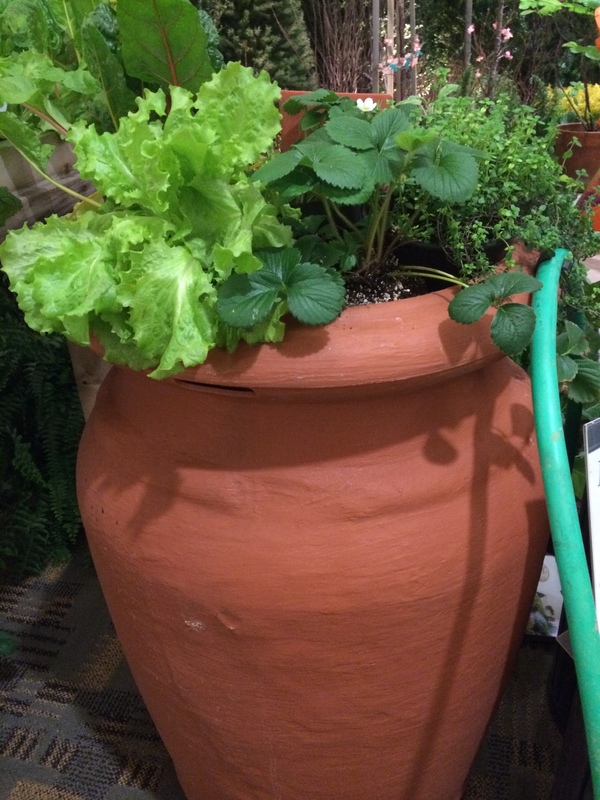 I am sure that you noticed that of the above movements, most of the options involved vegetable or edible gardening. As a consequence, when vegetable gardeners speak, the gardening industry listens! If you like this blog, please vote for me at http://www.bhg.com/blogs/better-homes-and-gardens-style-blog/bhg-blogger-awards/. Many thanks! !